Shalom! If you love what you find at the Havurah Synagogue, the best way to support us is to join us! Become a member!! 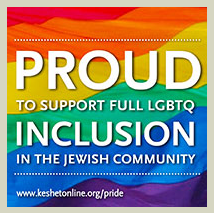 Our community is a diverse group of Jews, non-Jews and Jews by choice. Everyone is welcome! You may download a copy of our Dues Pledge Form for 2018/19 by CLICKING HERE, stop by the office for a hard copy or simply call our office to request that Tege, our Office Manager, mail you a New Member packet. The Havurah was founded in 1985 as the Jewish Renewal Community Havurah of Southern Oregon. The Jewish Renewal movement is dedicated to nurturing spiritual life and revealing Judaism’s inner spirit for our modern world, bringing it to life through both traditional and contemporary practices. Because of the great desire for spirituality and community, our congregation has grown from just a small number of families to over 100 family units. We welcome members from diverse spiritual paths and faith traditions. We are proud to be a LGBTQ safe zone. Our membership is composed of families from throughout Southern Oregon and Northern California, with highly diverse backgrounds and practices, providing a depth that enriches the Havurah. Participation: The knowledge, experience and creativity of our members help make our services, classes and events vibrant and unique. Volunteerism: To strengthen our community and to foster a sense of individual connection to the Havurah, we encourage each adult to volunteer in an area of interest. Contact Ayala to find out how you can donate your time and talents. Financial Support: It takes an average of $1,000 per family member unit to meet our financial obligations and expenses. Our desire is for members to determine what they can truly afford and pledge their fair share and to give other resources such as additional volunteer time and contributing their skills. Many synagogues that operate with this ability-to-pay structure use 3% of income as their guideline. Our dues are figured at 2% of gross income, to accommodate those who cannot meet the 3% standard. We hope you will consider 3% if it is within your ability. Minimum dues are $500 for individuals and $900 per family per year. Our Havurah is an inclusive and dynamic community, weaving Jewish tradition with song and prayer, striving to make Judaism truly meaningful in our lives. We hope you will consider joining us and pledging to become a member today. Please contact Ayala Zonnenschein, Havurah Executive Director, at ayala@ashlandhavurah.org or 541-488-7716, with any questions you may have or if more information is needed. We look forward to welcoming you to our community!